Completing a quality remodeling project correctly entails proper knowledge, craftsmanship, and safety. What makes a remodel project different from new construction is the site must maintain perfect living conditions for the homeowner's safety. This includes air quality to ensure healthy living as well as cleanliness to prevent any accidents. 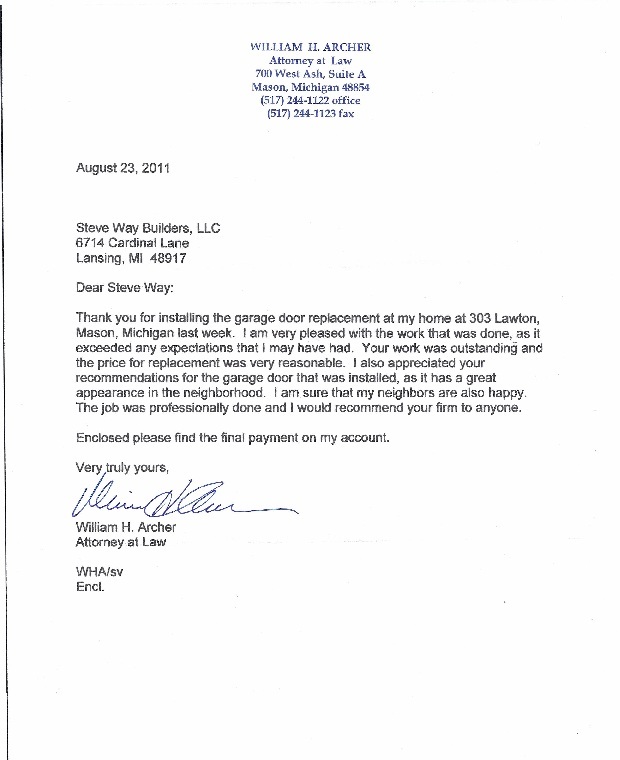 Steve Way Builders, LLC - The Remodeling Specialist keeps the homeowner's needs as a top priority throughout the entire construction project for all home renovations and improvements to ensure the homeowner feels at home even when at times it may seem like a construction site. 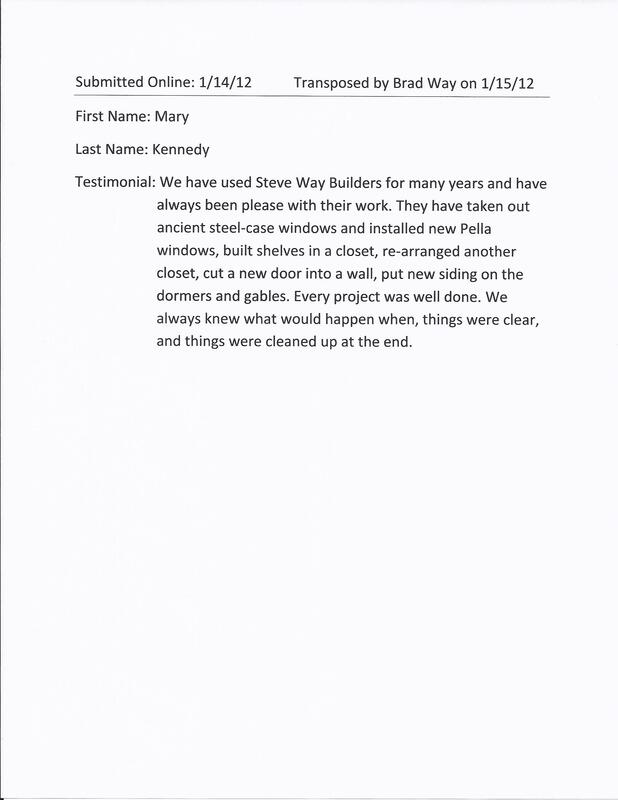 Below are testimonials from home owners who have received work from Steve Way Builders, LLC - The Remodeling Specialist. 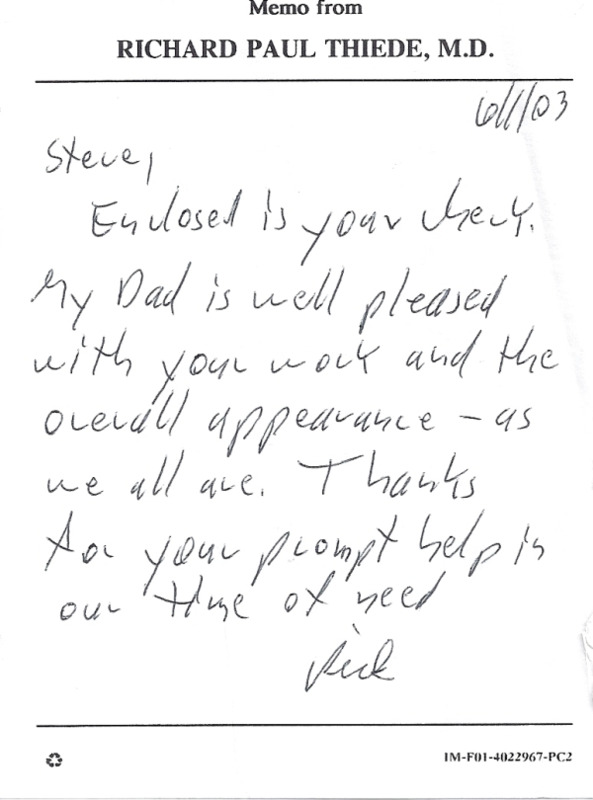 Click on the document to view the remodeling testimonial.